I think I am going to have to start paying my dogs hazard pay for being in the office. Some offices have office cats, we have office dogs. I was reading an article about LinkedIn about general advice for all users relative to their profile. All was fine and quiet until I read one tiny statement saying that if you are looking for a job it is okay for your profile and resume to be the same. “NO it is NOT!” is what I yelled out. At which point the little one I think growled at me, the middle one looked at the biggest one like, “he did it” and the biggest one just sat there with a big goofy grin on his face. It is not okay, in no way is it okay for your profile and resume to be the same. Your resume is an arm’s length, removed conversation; a professional sales pitch for a general audience. Your LinkedIn profile is a one-on-one conversation with the person reading it; a business casual, professional conversation. Your resume opens with a sales statement, telling the reader what you bring to the table and answers the question “What can you do for me?” Say that statement out loud, you sound silly. No one talks like that in conversation. In LinkedIn, speak from and as yourself as you were answering that question to a person sitting across from you. In job searching you are a brand and it is imperative that your branding is consistent. Your brand extends to your resume, LinkedIn profile, networking and interviewing. Each of these are individual pieces that carry the same brand. They should have a similar feel but be fit to the situation and expectations of each one. Although you use words in your resume and LinkedIn profile that resonate with you in describing your value; the difference is that in LinkedIn you are letting your personality show through a bit more. 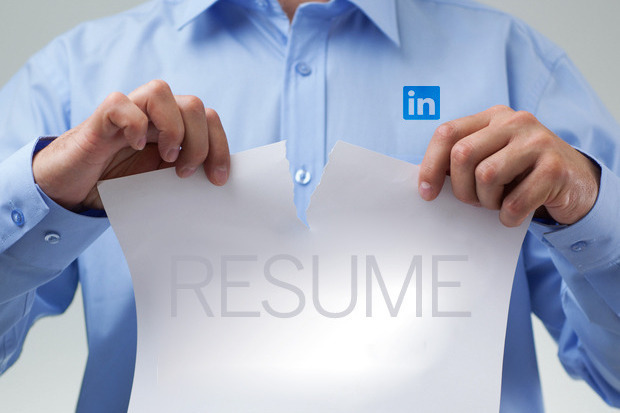 If your LinkedIn and resume are the same you sound like a one-trick pony. People read your LinkedIn profile to find out more information, get a deeper feel for you as a professional and person. The primary purpose of your resume is to sell yourself. The primary purpose of your LinkedIn is to engage your target audience; to begin a conversation that opens the door for you to sell yourself. Lisa K. McDonald, Owner and Principal of Career Polish, Inc. is a favorite speaker and seminar facilitator at colleges, professional organizations and companies around the US speaking to leadership, sales and athletic teams; transitioning/downsized employees and networking groups about personal branding, networking, creating executive presence and achieving career movement success. To find out more, visit Career Polish, Inc.